Zeen unstitched winter collection 2015-2016 is now available on its all leading and online stores at reasonable rates. There are different styles of winter dresses which are designed by Zeen brand. In winter collection you can easily get different dresses of diverse fabrics like linen viscose, khaddar, cotton cord, cotton crepe and blend cotton. These all fabrics are easily available at different outlets and stores of Zeen. Zeen becomes a famous and well known fashion brand of Pakistan who is dealing with finest quality of women clothing. This brand not only fulfills the desires and wishes of elite class people but also those who cannot afford too expensive and lavish suits. They can easily purchase these suits without any hesitation. Zeen brings unstitched winter collection which consists of three piece suits. These suits are crafted with finest and comfortable quality of linen fabrics along with shawls/dupattas and trousers. 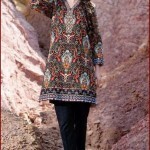 These all dresses are adorned with latest fashion and the patterns and prints which are used are abstract and floral. 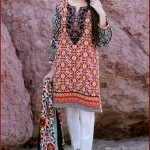 Different designs of embroidery, patch work, gems, lace work etc are embellished in these dresses. 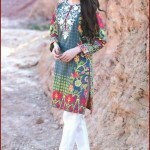 Even ladies or young girls will prefer to wear these dresses on mehndi or in dholki functions. For this reason, many colors that are related with these functions are used in this winter collection such as green, yellow, red, sea green etc. These unstitched attires are adorned along with elegant designs, attractive styles and sparkling colors. Ladies can wear these dresses as casual or formal wear and these dresses are also ideal as party wear. This brand has created attractive beautiful styles of dresses. Ladies can use their catalogs for new stitching styles. Besides clothing, Zeen also deals in all type of women accessories like handbags, jewelries, dupattas, stoles and shoes. You can buy these dresses and matching accessories from the official website of Zeen.